The Economic and Financial Crimes Commission has filed 12 charges against the immediate past Governor of Plateau State, Senator Jonah Jang, for an alleged fraud of N6.3bn. The EFCC, which filed the case before a High Court sitting in Plateau State on Monday, accused Jang of perpetrating the fraud two months to the end of his tenure as governor. Jang, who currently represents Plateau-North Senatorial District, allegedly embezzled some special funds released to the state by the Central Bank of Nigeria. In one of the counts, the former governor, among other things, was accused of diverting N2bn released by the CBN for disbursement to Small and Medium Enterprises in the state under the Micro, Small and Medium Enterprises Development Funds, just a month before the expiration of his tenure in April 2015. 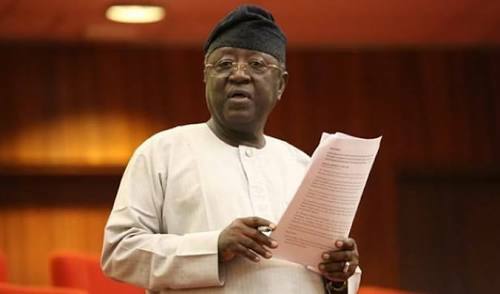 Jang is also said to have abused his office as the governor by collecting money to the tune of N4.3bn from the state coffers through the cashier of the Office of the Secretary to the State Government, Yusuf Pam. Pam, who was also charged along with Jang, was said to have corruptly used his office for personal enrichment to the tune of N11.5m. It was learnt that the charge had been served on the former governor but no date had been fixed yet for arraignment.